Derek has been volunteering at Help & Care for 10 years. 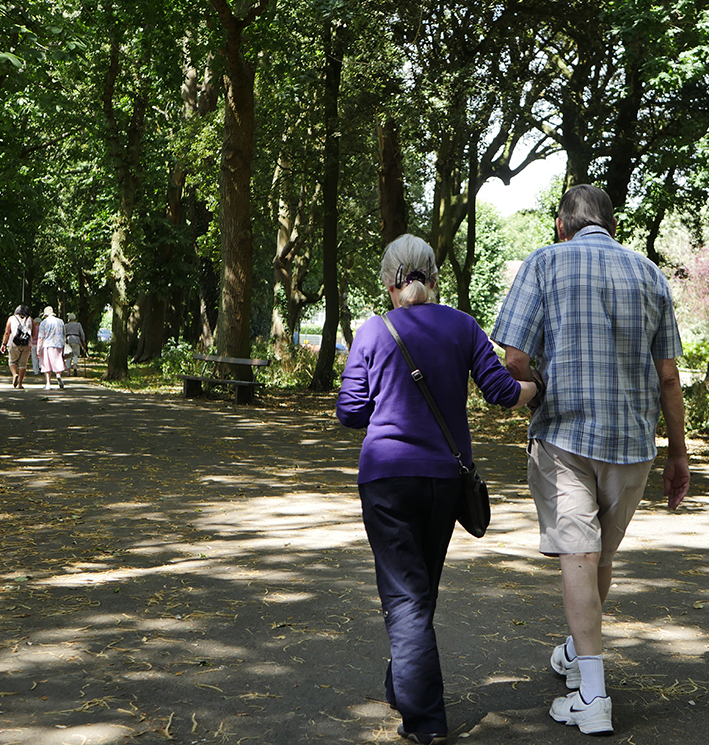 He volunteers for our Walking Group, which supports those in later life and people with mobility issues who want some gentle exercise and social contact with others in outdoor settings. Derek’s role involves arranging pick-ups and planning every day’s route. Some weeks ago, Derek realised that one of the Walking group regular members looked really upset. On their way back home, Derek asked her what happened. She explained that she was concerned because she was using up her savings at a very fast rate, to cover her everyday expenditure. Derek shared these concerns with Nisa, our Volunteer Coordinator, who asked the Advocacy team what to do. The Advocacy Team usually deals with similar issues, so they were able to help. They suggested a Benefits assessment, which Nisa duly arranged with the consent of the client. As a result, her pension was increased, she received pension credit, a refund on underpayments, and her council tax bill was reassessed and reduced.